This week I’d like to take a look at some of the results from the Starcitygames: States series that took place all across the USA on 4/10-4/12. 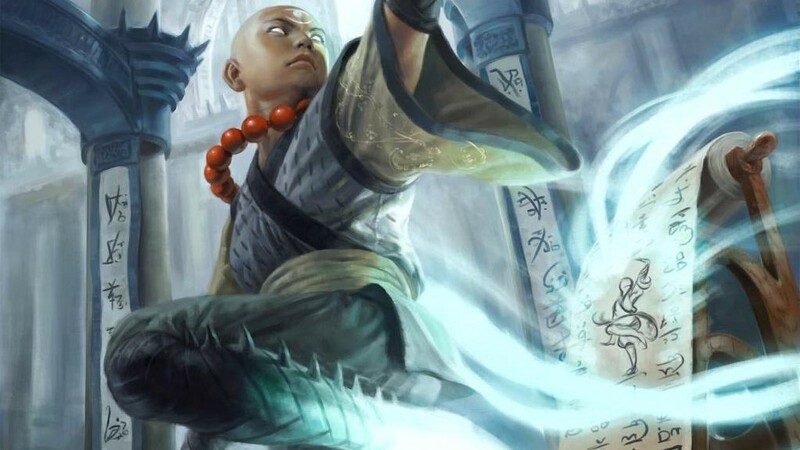 While this tournament series used to be held by Wizards, we now have SCG taking up the mantle and running tournaments in a wide array of states in order to better boost the local Magic scene. Though these decks aren’t on the level of the Pro Tour it doesn’t mean that we can’t get ideas about what cards are good and bad in the formats represented. I’m going to highlight some of the extreme outliers in both Standard and Modern to see what the far reaching deck possibilities are at the moment. There aren’t a ton of financial opportunities from this deck, as Fanatic would be the only card that could possibly go up based on the results. Yet, only two copies were found in the deck. Rager has a decent chance of being in a pre-con over it’s Standard life, so that leaves Strike Leader as the penny stock of choice. I feel like it is the most important aspect of the Warriors build since they will normally play four copies main deck. Keep an eye on this guy moving forward. Four copies of Mindswipe were played in this first place deck. Currently a bulk rare, does this mean that the card has price potential in the future? Possibly, but I wouldn’t go too deep on this one. I’m not sure if it will make the cut in future decks (or even if this U/R Control deck is a thing) but definitely be aware that Mindswipe made things happen for someone! This is a pretty hilarious deck that aims to get out either a Soulflayer, Chromanticore, or bestow a Chromanticore on a Soulflayer. You might see this deck at your local FNM every so often but I’m not sure if its going to be tearing up GP’s anytime soon. Still, it could breakout at some point if more support is printed in Magic: Origins. A different spin on red aggro decks, the Mardu approach aims to tackle other aggro decks by using lifegain to stabilize while otherwise smashing control decks as fast as possible before they can get anything online. I still think Crackling Doom is relevant in the metagame, so expect to see more of it over the coming months. Kolaghan’s Command is starting to make a splash in Modern as well as Standard, and though it wasn’t represented too widely at the Pro Tour I still think it has potential in Standard. This is a fresh new take on the format. G/W Prowess resembles U/W Heroic as the closest comparison. Myth Realized is pretty insane in this deck, and can quickly become a huge threat that is very hard to deal with. The deck plays a ton of cycling cards, like Pressure Point and Defiant Strike, in order to draw more cards to finish off the opponent as well as provide enough Prowess triggers on a turn. Definitely an interesting deck and adds credence to Ojutai Exemplars as a playable card. So I hear gaining life in a format where Burn is one of the Tier 1 decks is pretty good. Auriok Champion and Serra Ascendant are both about $20 per copy, which is a ton of money for a card that is basically only played in one Modern deck! Ascendant is a casual favorite that is absurd in Commander, which is why I can see it being so highly priced with only one printing, but it still eludes me why Auriok Champion is so pricy. Is it simply due to this deck and other casual demand? I’m not sure, but I am avoiding both of these cards (and even Ranger of Eos) due to the upcoming Modern Masters 2015 release. Archangel of Thune is the only card I could advocate picking up as she has pretty much always been at $15 and only has room to go up without a reprint. I feel like this deck has been around in Modern for a little while now, and only recently have we seen another Top 8 result with the deck. Even though that this is states and the results should be taken with a grain of salt, I believe that G/R Breach has some legs behind it and can become a Modern mainstay with a bit more support for the deck. Summoning Trap is really cheap right now, even with a potential reprint in Modern Masters 2015. A token / control deck, this deck is an interesting spin on B/W Tokens. It allows you to play Lightning Bolt and Lightning Helix alongside Smallpox due to the nice interaction of saccing Young Pyromancer tokens. I could see this gaining steam as a Modern archetype over the years. Wow, this deck is crazy. I’m pretty sure the only reason this deck did so well is because nobody even knew what to do when they played against it. Welcome to fun land folks, where all you need is one Puresteel Paladin to start going crazy and comboing out your opponent with zero cost artifacts! Speculation targets from the deck include Puresteel Paladin and Retract if the deck starts gaining steam due to its fifteen minutes of fame. Though many of the targets of this deck could be reprinted, Gravecrawler seems like a nice start if you’re looking to play this deck. Vengevine decks could become more popular over the years in Modern and Gravecrawler will be essential to the strategy. The new take on Birthing Pod builds since the ban, I think this deck might garner more steam as better small creatures are added to Modern’s card pool. White weenie Anafenza might be a good pickup since she is also a Standard card and rather cheap, but I think we’ll need to see some more results before any definite conclusions can be drawn. A new take on the rock (G/B) archetype, this deck utilizes the recursion of Glissa in order to get Engineered Explosives and Executioner’s Capsule back again and again to control the board. Being a first strike deathtoucher is also nice, which means that almost nothing can attack through her. Certainly a deck to keep an eye on in the future. A new take on Miracles for Modern, this deck doesn’t have Sensei’s Divining Top nor Counterbalance but it can still draw plenty of cards and keep lots of open mana in order to cast the powerful Miracle spells. I don’t think this deck is going to move the market like the first time it was featured in Legacy, yet as long as we continue to get spells that Scry or manipulate the top cards of your library this deck will pop up again in the future. For those of you not in the now, this deck is based on the old Flash Hulk combo in Legacy that got Flash banned from the format. Instead of Flash, this deck uses Footsteps of the Goryo in order to get the Hulk out and then start the infinite combo. The backup plan is Through the Breach in case your graveyard gets exiled or you can’t discard any Hulks from your hand. Definitely a really cool deck that could possibly see play in the future with more discard enablers like Faithless Looting entering the format. There we have it, some of the more unique decks that came out of the States weekend. Which decks did you guys see floating around? Do any of these decks actually have staying power behind them or are they just flashes in the pan? Should we expect to see any of these decks reliably at local events or even Pros be inspired to create more optimal builds? This was just great. I didn’t have time to go through the lists and check for fringe and unique decks that did well. Thank you so much. That UR control with riddle in it. Really want to try that at fnm now. Mardu pyro oh man, I love me some small pox. I don’t even realize half of the decks you mentioned in the standard portion…as far as PT and GP go the top decks are esper dragons, RDW splashing green, abzan control, jeskai token and bant.